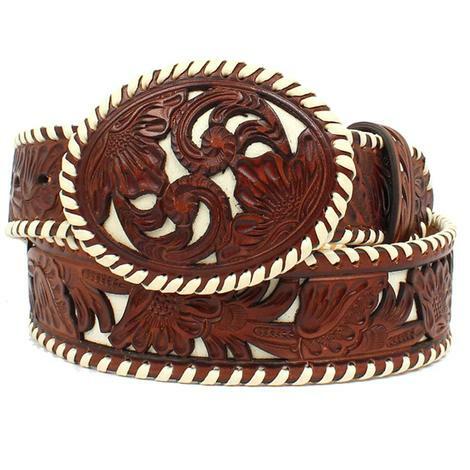 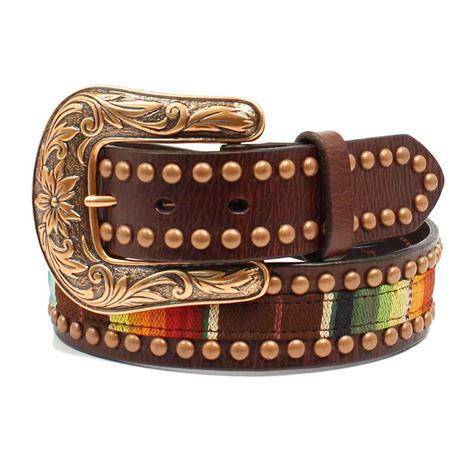 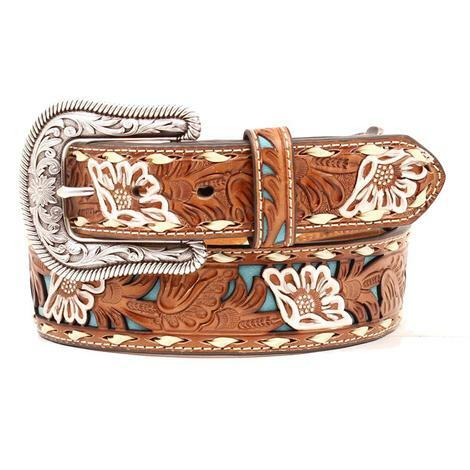 This leather Nocona belt features embossed oval starbursts with painted turquoise centers and a scroll design. 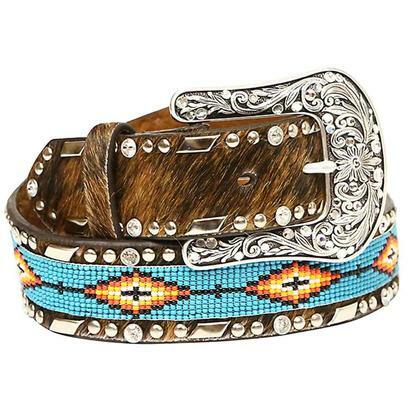 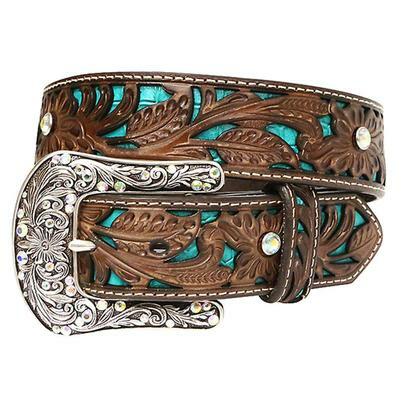 The buckle is accented with turquoise stones that are sure to stand out in any crowd. 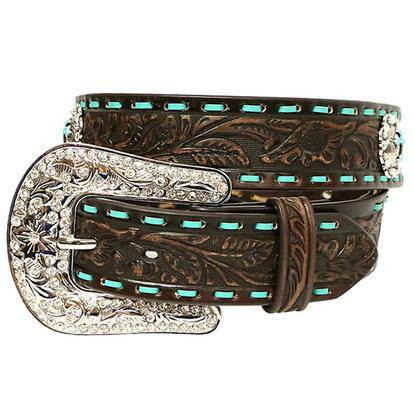 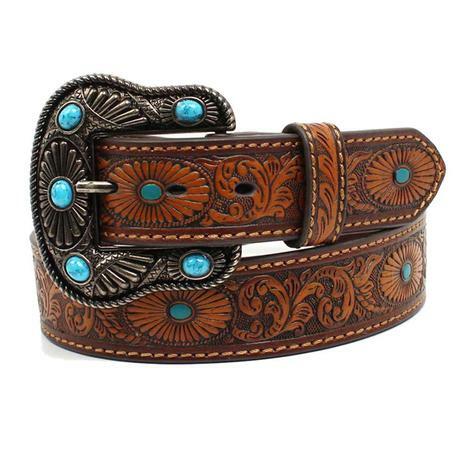 This belt by Ariat features a floral tooled overlay with cutouts and a bright turquoise underlay. 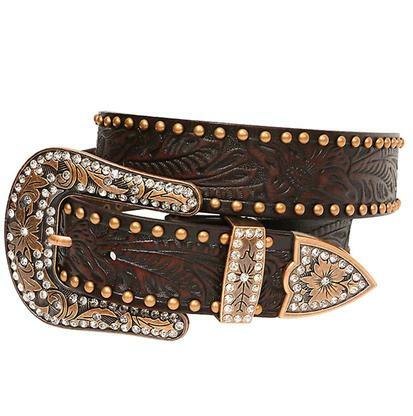 Large rhinestone accents add some bling as well. 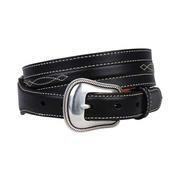 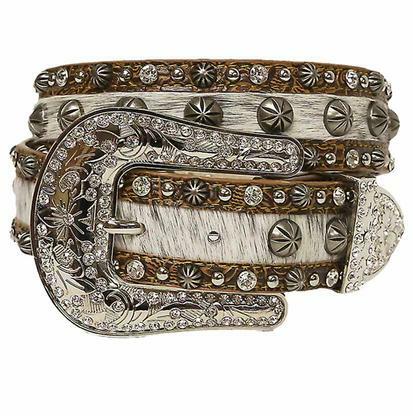 The silver-tone filigree engraved buckle is removable. 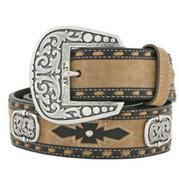 Measures approximately 1.5" wide.